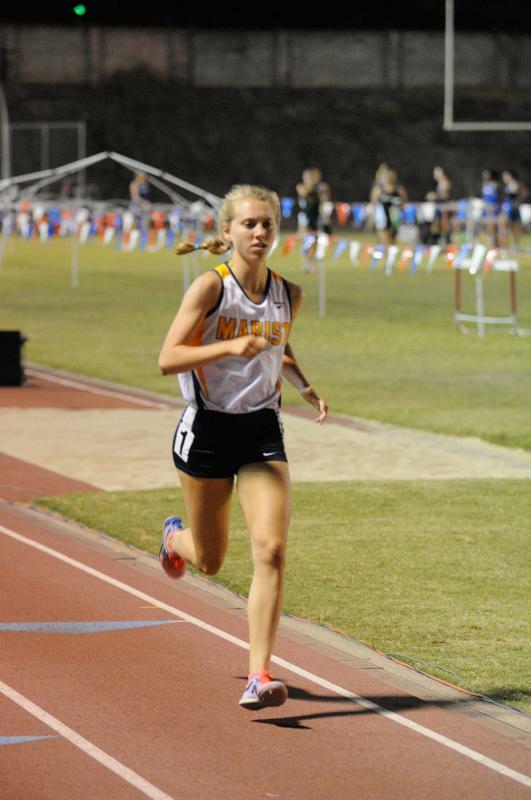 Morgan Ilse of Marist cooked up something special in her final HS 3200 with a Smokin' 10:25! How good was Morgan Ilse Thursday evening? So good, she lapped all but 4/5 other runners in a pretty talented field. It was in the air, an electricity, that something special could happen. And each lap by Ilse she continued to drive, passing several runners like they were walking and unleashed a sprint the final 200 meters that will be very worthy of watching on video Sunday evening on ga.milesplit.com. 10:25....can't wait for her 1600 race Friday nite.